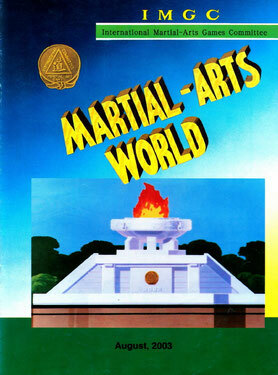 Dear martial art friends and colleagues! The year 2018 has come to an end and I feel satisfied to release my message to all the IMGC members and martial artists the world over. 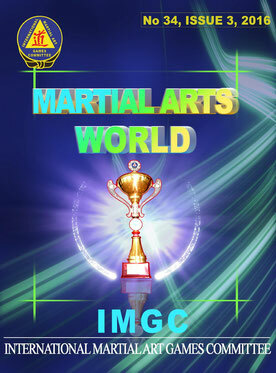 This year, we have achieved a feasible progress in the IMGC movement with concerted efforts and dedication by our members in further promoting the martial art activities to a high level. The foremost highlight was the celebration ceremonies held in Pyongyang, DPR Korea, with various events on the occasion of the 100th birth anniversary of General Choi Hong Hi, the founder of ITF and IMGC. 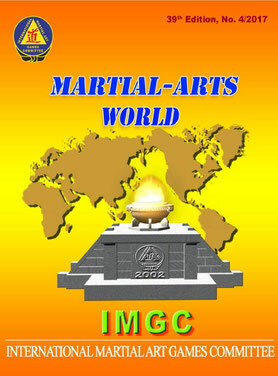 During this period, IMGC held the Executive Board meeting with several issues including grand events to be held in Pyongyang on the occasion of the 20th founding anniversary of IMGC in September 2019 and the selection of the host country for the 8th International Martial Art Games and had candid discussions for further development of IMGC. This year also recorded a lot of wonderful competitions and various events organized with active participation by the member IFs and NMGCs, thus giving a deep impression to the players and spectators, and highly accelerating the diffusion and development of martial arts, the common wealth of humanity. In the name of IMGC President, I would like to take this opportunity to express my sincere thanks to all EB members, Presidents and Sec. Generals of our family members, IMGC HQs’ staff and the entire martial artists for their unsparing supports and cooperation made in this year. The year 2019 will be a more meaningful and significant year as it will greet the 20th founding anniversary of IMGC and the 8th International Martial Art Games. Seeing in the new year 2019, I wish all of you good health, brilliant success in your responsible work for the development of martial arts, and also happiness in your harmonious families.